LG has launched in Korea what seems to be their first 3D-capable laptop, the LG Xnote A530, and the laptop is expected to be also available in Europe, the Middle East and Africa later this month followed by other markets soon after (no work on North American availability yet). 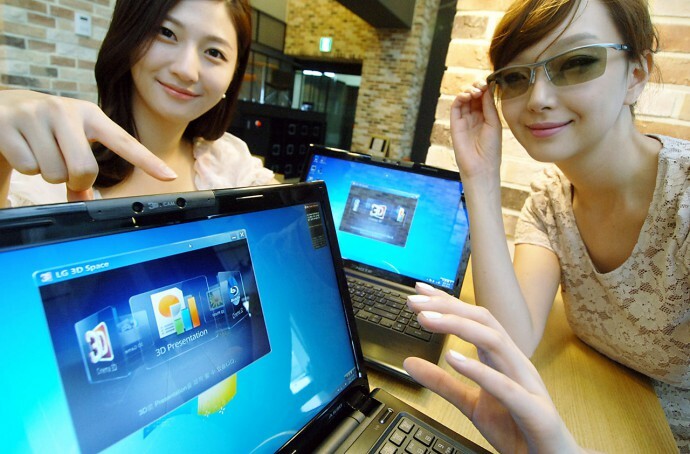 LG A530 is a 15.6-inch laptop that uses the company’s Film Patterned Retarder (FPR) technology for providing a 3D display capabilities in the device and this is essentially a passive 3D display that requires you to wear a pair of passive polarized glasses to see the 3D effect. So far nothing we haven’t seen from other companies, however LG is going a step further by adding a built-in 3D webcamera as well that consists of essentially two normal 2D webcams that seem to be about 2 centimeters apart (less than an inch). Having a 3D webcamera on your laptop may seem like a cool idea at first, but it is something that is still not very usable as most video conversation software solutions still don’t support 3D video. So maybe you can be stuck at using it only for anaglyph 3D mode if supported, as this can also be easy for the person sitting on the other side to see you in 3D if he does not have a dedicated 3D-capable display. Although there is yet again integration with YouTube’s 3D support, so you will be easily able to upload 3D videos of you record with the 3D webcam, another thing that does not seem way too practical like having a 3D camera on a smartphone for example. It is also interesting to note that on the official pres photo from LG there is the LG 3D Space software displayed, something that you may be familiar with if you’ve seen the company’s LG Optimus 3D smartphone, so this 3D interface should be giving you similar features to that found on the 3D phone. 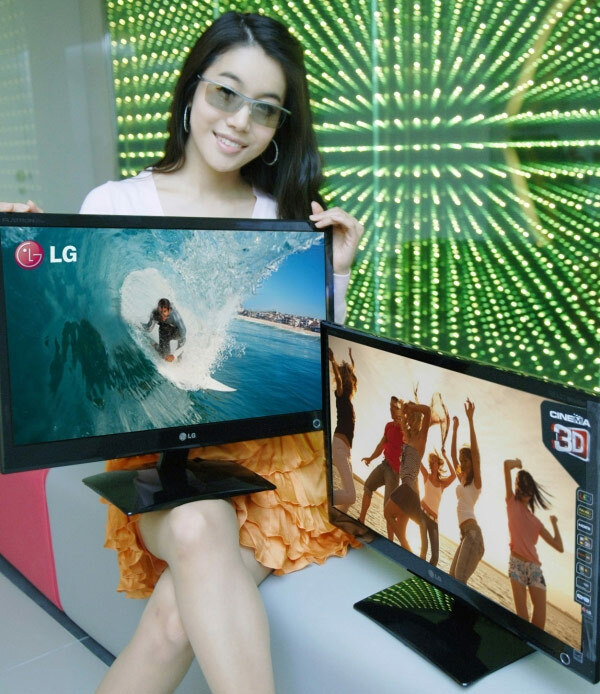 The 3D video and photo playback, as well as the ability to play games in stereoscopic 3D mode are apparently provided by DDD’s TriDef 3D software which LG also uses for their other passive 3D displays. There also seems to be a Blu-ray 3D video player and something that makes me a bit curious, a 3D Presentation mode that uses unknown for the moment software. The 15.6-inch display is apparently with Full HD 1920×1080 resolution that turns to half vertical (1920×540) per eye of that when you activate the 3D mode due to the way all of the passive 3D displays work. The LG A530 is using a second-generation Intel Core i7 processors, comes with up to 8GB of system memory, GeForce GT 555M graphics card that should be quite Ok for most not so demanding games even in stereo 3D mode (not fast enough to call this a high-end gaming laptop), a built-in solid-state drive (SSD) together with a traditional HDD drive, integrated fingerprint reader, SRS Wide 3D Sound system, USB 3.0 support, and the 3D webcam already mentioned. We’ll have to wait a bit more and see the first reviews when the laptop comes out in order to have a better understanding of the performance and extra features it will be offering in stereo 3D mode as the currently available information for the upcoming LG A530 laptop is not very detailed. LG Electronics just announced the release of two Cinema 3D monitors series – D41P and D42P – using LG’s new Film Patterned Retarder (FPR) 3D technology (passive polarization filters) that was just recently announced in the new line of LG Cinema 3D HDTVs. 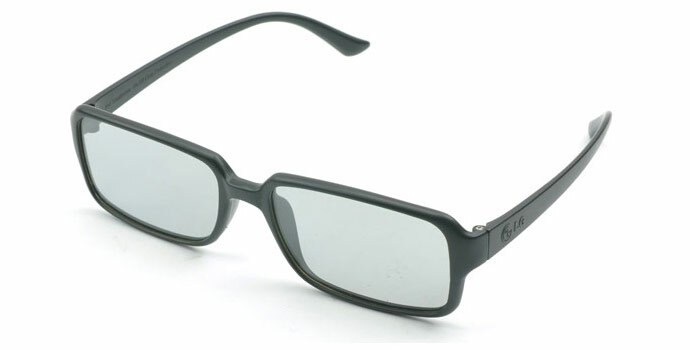 LG claims that with their FPR 3D technology, the 3D monitors offer brighter and clearer images, and a “Flicker-Free” certified 3D picture that according the company makes 3D viewing more comfortable and eliminates the “occasionally caused dizziness and nausea among viewers” when watching 3D monitors using shutter glasses. You should however consider the fact that the flicker with shutter glasses is not the only thing that may lead to side effects and unpleasant feeling in the viewer, badly made stereo 3D content is actually the most usual cause. Out of the first four monitors from the new D41P and D42P series – D2341P, D2242P, D2342P, D2542P, only the first one comes with just D-SUB and DVI-D connectivity (D2341P) and the other 3 models also feature support for HDMI 1.4. The LG D2341P is a 23-inch Full HD 3D monitor, the LG D2242P is 21.5-inch Full HD 3D monitor, the LG D2342P is 23-inch Full HD 3D monitor and the LG D2542P is 25-inch Full HD 3D monitor. All of them use TN panels with LED backlight, meaning more affordable price, have 5ms response time, 1000:1 contrast ratio (5 million to 1 dynamic) and provide up to 250 cd/m2 maximum brightness in 2D mode and 100 cd/m2 in 3D mode. The LG Cinema 3D monitors will be launched in Korea today and will be rolled out globally early June starting in Europe. All four new models from the D41P and D42P series will be bundled with DDD’s TriDef 3D software that will be ensuring the stereoscopic 3D support for games, as well as 3D video playback and the 2D to 3D video conversion functionality. The TriDef software is universal, meaning it will work with both AMD/ATI and Nvidia-based GPUs and the models with HDMI 1.4 interface should be compatible with consumer 3D electronics such as PS3 consoles or Blu-ray 3D players. Have in mind that these monitors are not compatible with either 3D Vision or the 3DTV Play software from Nvidia and will not be made compatible in the future as well. The main advantage of the use of passive polarizing filters is that it brings down the cost of the display and makes the glasses much more affordable as they do not need any electronics, just two plastic filters with different light polarization. The drawbacks are mostly the limited vertical resolution (the halved number of horizontal lines per eye), as each eye perceives only 1920×540 pixels, something that could bring some issues with distinguishing finer details and small text in 3D, as well as the significantly limited vertical viewing angle of the display when in 3D mode as compared to the angle in 2D.